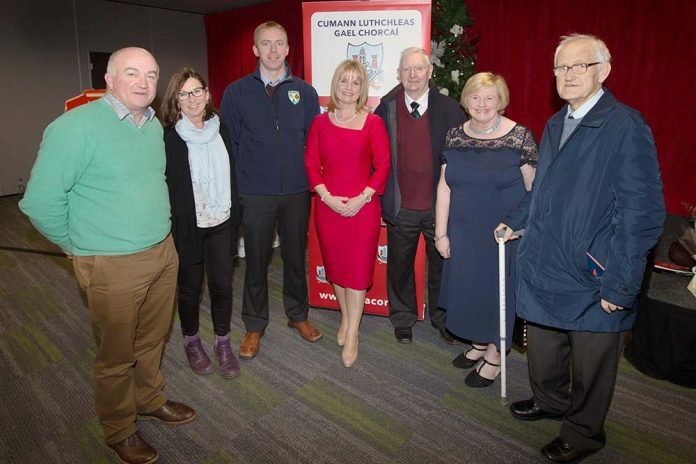 Tracey Kennedy newly elected Chairman Cork GAA pictured with her mother and members of Killeagh GAA after her election at the Cork GAA Convention at Pairc Ui Chaoimh. (Photo by Denis O' Flynn). Killeagh’s Tracey Kennedy made history this winter, when she became the first female to take up the role as Chairman of Cork GAA. 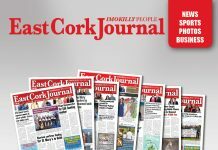 Speaking to the East Cork Journal this week, the East Cork native said that she is honoured to be given such an opportunity. ‘‘It’s an amazing honour. For myself, my club and my family. I suppose I can’t hide from the fact that I am the first woman. A lot of women have told me that they are delighted to see me there. They feel that I am representing all of the women involved in the GAA as well. For all of those reasons, it is a huge honour to take on the role. It’s also fairly daunting – it’s a huge responsibility. But, I’m looking forward to it,’’ Kennedy said. Her experience as PRO, and as Vice Chair, is sure to benefit her, as she takes up a new position, within the executive. It makes the transition slightly more manageable - and perhaps, slightly less daunting? ‘‘Definitely. I have a lot of experience and that certainly helps. Those two previous roles also involved me in the Competitions Control Committee. Fixtures are at the heart of what we do. I don’t know how you could come into the job (as Chair) without having some kind of apprenticeship,’’ she said. Having previously worked as a teacher in Youghal, Kennedy is now Deputy Principal at Carrigaline Community School. She works in more of an administrative role nowadays, rather than a teaching one, but it means she is as busy as ever. Which begs the question, how does she balance life in education with life in Gaelic Games? Kennedy had her own health scare in recent years, when she learned that she had Cancer. However, she is in good health nowadays, and is hoping that she can raise awareness of the disease, and in turn, help to save lives. ‘‘My health is good now. But, for anyone who has had Cancer, there is always that worry in the back of your mind. If my role now gives me the platform to remind women of the importance of going for regular checks and so on, then that’s an opportunity as well to have a positive influence. I was very lucky – my cancer was detected very early. It was treated quickly and I had a full recovery. Not everybody is so lucky,’’ Kennedy said.